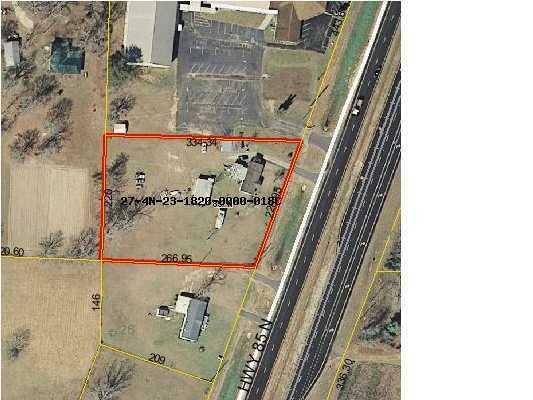 Nearly two hundred and twenty seven ft of highway frontage on Hwy 85 North in the Auburn Community. ((Seller will consider owner financing options)) This large commercial development site is over an acre and a half and is just north of Crestview, south of LAke Arthur estates and Heritage Plantation. This would make a great site for a retail / warehouse distribution business,convenience store, office complex,retail sales, construction yard/office. This great location on a paved state highway has power and two water meters(auburn water)is cleared and ready to build. Bring your building or get a quote from the seller (licensed florida contractor) to build your commercial dream today. Listing courtesy of Re/Max Agency One.